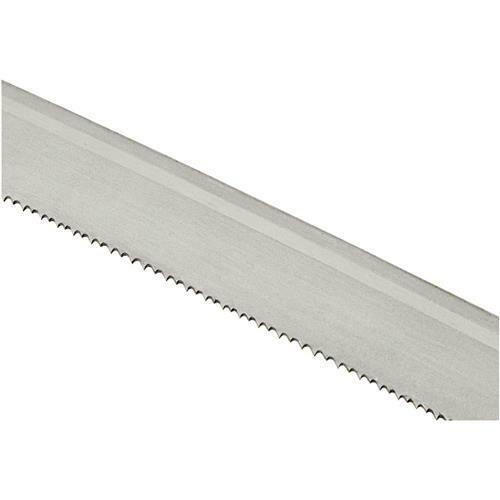 SuperCut Bimetal Bandsaw Blades are a superior blade with high alloy, high speed M2 teeth and a spring steel back to provide flexibility and toughness in the blade. Bimetal blades are welded by an electron beam under high vacuum to attach the strip of high speed M2 teeth to the spring steel back. The teeth are then ground into the M2 steel. 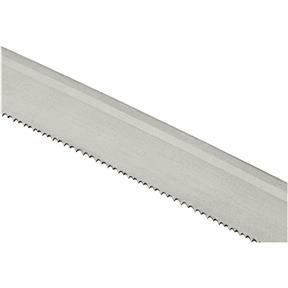 Bimetal blades are primarily used for steel cutting, but also can be used for cutting non-ferrous materials and wood. Bi-metal blades are available with variable pitch teeth. Variable pitch combines regular teeth of different pitches, gullet depths, and set angles. Variable pitch gives smoother cuts, faster sawing, improved chip clearance, and longer blade life. Noise and chatter are greatly reduced. 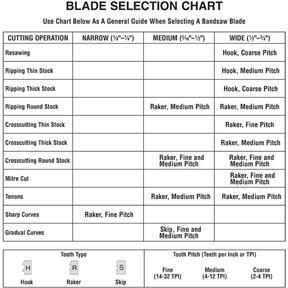 Variable pitch blades can handle solid cutting as well as interrupted cutting such as tubing, etc. Bimetal blades will give lower cost per cut on tough sawing jobs.